The latest Psyched! newsletter from the BMC Competition Committee can be downloaded here. Lots of insider experience from members of the GB Climbing and Bouldering Teams, information on recent competitions and dates for 2010 comps. 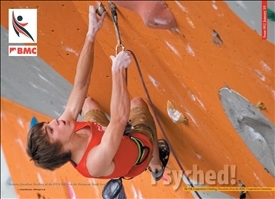 See how many Quickdraw members and Associates you can spot in the Ratho EYS photo p17.